Fast-track your career in business leadership. Develop a specialism in cybersecurity. Qualify for senior roles with significant responsibility. An MBA is an internationally respected business qualification. In one year you will develop a strategic understanding of all aspects of managing a successful business. This MBA has a specific focus on cybersecurity where you will analyse and evaluate the principles of cybersecurity and understand the concepts of risk, threats, vulnerabilities and attack vectors in systems security, information security and operational security. Teaching methods include lectures, seminars, class discussions, case studies, group work, presentations and applied study. Your progress will be assessed with the dissertation and assignments. Please note the availability of optional modules may be subject to change due to unforeseen circumstances or student demand. If you join us in March, you will be offered the general MBA course with designated options. Your knowledge will be supported by designated module options. This course is designed to support career acceleration for suitably academically qualified applicants. All levels of practical work/work experience will be considered including applications from candidates with pre-graduation or limited/no work experience post degree who can display that they will benefit from a programme of this type. Relevant degree or equivalent professional qualifications. An MBA is a challenging qualification which requires significant dedication. Employers recognise its worth, and the value that an MBA-qualified business leader can bring to their organisation. While you are studying for this course, you will be an Affiliate Member of the Chartered Management Institute (CMI). This gives you access to the CMI's support resources and networking opportunities. If you have 3 or more years' management experience when you graduate, you will be entitled to apply for full membership of the CMI or Chartered status. 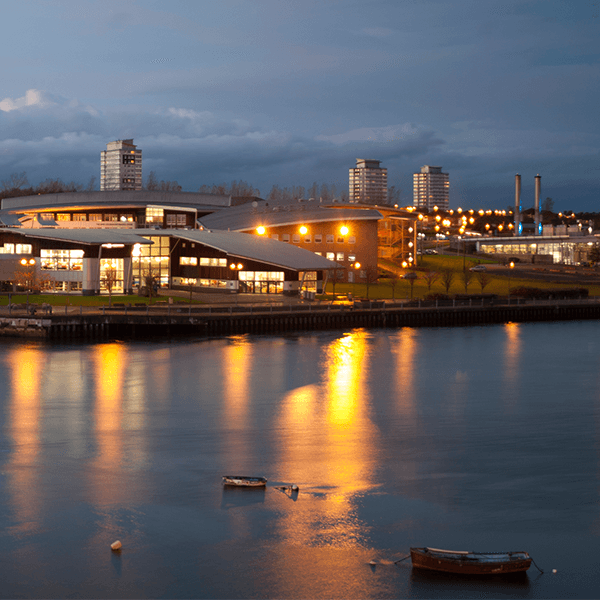 Business graduates from Sunderland have secured roles in organisations such as Facebook, Microsoft, Sage, HSBC, IBM, Enterprise, Nissan, Accenture, Procter & Gamble, Merck & Co, Barclays, Nissan, Marriott Hotels, Viacom 18, PricewaterCoopers and Adidas. We invite business leaders into the University to share their experiences with students. Past speakers include Divine Chocolate’s Head of Sales & Marketing and Sunderland Football Club’s CEO. The visits to world-known companies like BMW and Audi in Munich are of great benefit.